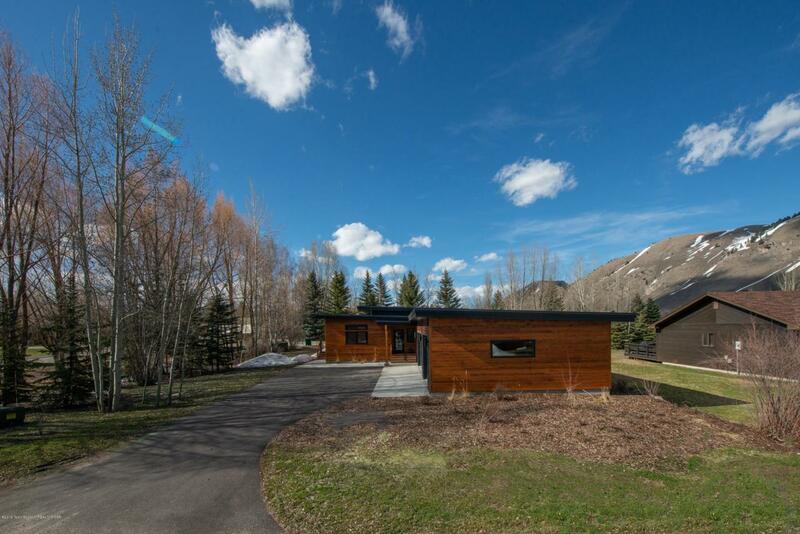 Newly constructed contemporary three bedroom, three bath home in Rafter J. The 24' by 24' great room has 14 foot ceilings with large windows for expansive mountain views. The contemporary kitchen boasts a large 8' island with a quartz countertop, a gas stainless stovetop and two built-in ovens. There are two large decks and a detached 864 square foot 3 car heated garage. Newly landscaped and irrigated yard with mature trees. One owner has a Wyoming real estate license. Professional photographs to follow. Listing provided courtesy of Brenda Wylie of Todd Domenico Real Estate Llc.